see Liholiho Yacht Club lived up to the hype and exceeded all expectations; from the ambiance, service, to the food all was superb. Chef Ravi Kapur is serving up mouth watering Hawaiian inspired cuisine, creating a bright spot in the otherwise bleak Tenderloin neighborhood. 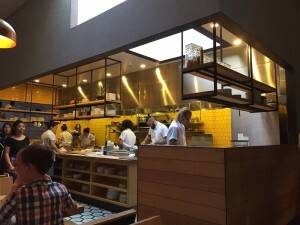 After spending almost three years hosting pop-up dining events at places such as State Bird Provisions, his new permanent location feels light and fresh. As you walk to the back dining area you’ll pass by a bright, yellow-tiled, open kitchen. With a truly relaxed atmosphere and dishes made for sharing, this is the kind of place you can enjoy a leisurely dinner accompanied by creative cocktails and island vibes. 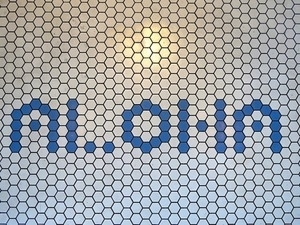 There is no sign for Liholiho, but you’ll know you’ve found it by the “Aloha” tiles at the entryway. levitra for women Liholiho is the perfect place for sharing, and believe me you’ll want to try as much as you can! Depending on your group size/appetite there are so many ways to build a meal here since the menu is comprised of small, medium and large plates. 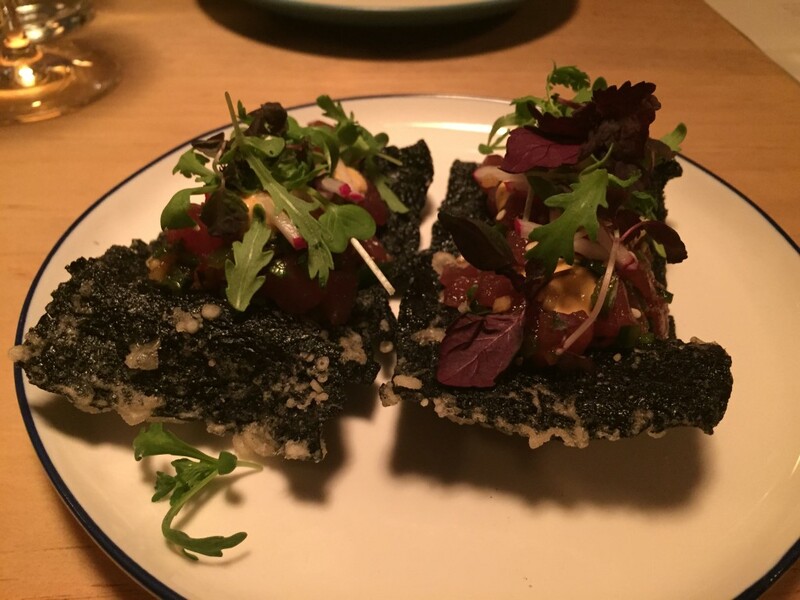 The tuna poke starter is not to be missed – served on nori crackers with the freshest raw tuna, sesame oil, and radish slices. see The little gems salad might have been the highlight of our meal, in all of its simplicity it is full of so many beautiful flavors and textures. 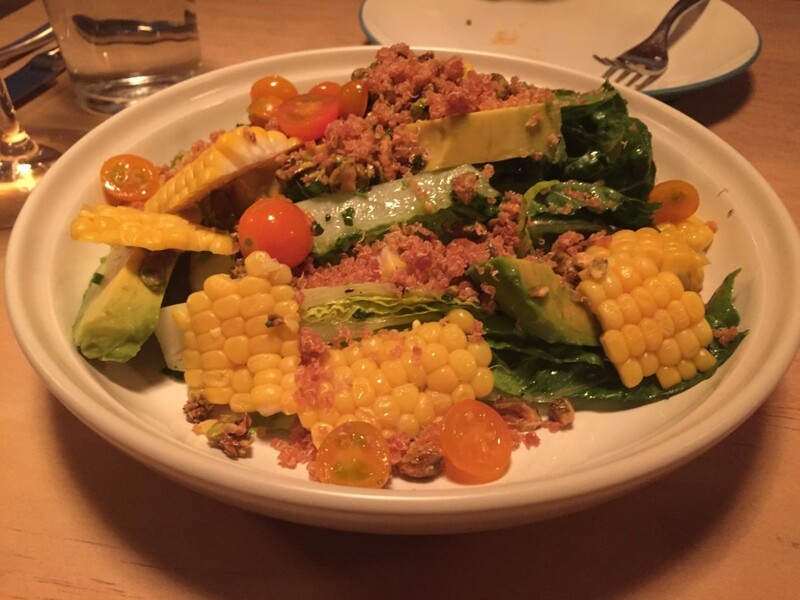 A medley of avocado, Sungold tomatoes, corn, herbs, and toasted quinoa. They definitely don’t skimp on the avocado, and the corn is fresh off the cob. The crunch of the toasted quinoa brings this dish together, and come to think of it I don’t even recall there being a dressing! get link While I’ve never had spam before, I was very curious to try the Spam Fried Rice and I am glad I did. Liholiho makes their own homemade “spam” for this dish, and it is full of flavor with perfectly seared edges to crisp it up. 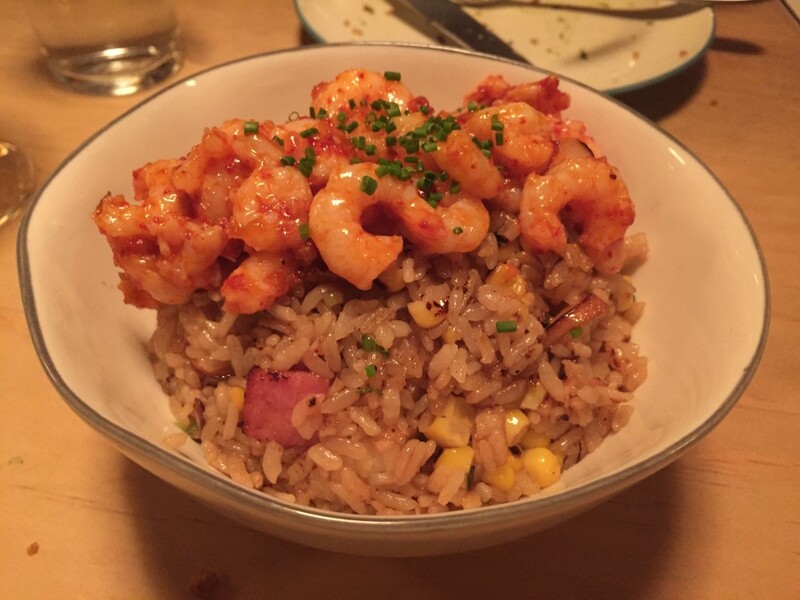 The spam is not overwhelming and is complimented by corn, mushrooms, and bay shrimp seasoned with a bit of a kick! By the time our main dish arrived we were stuffed, but who can turn down pork belly? 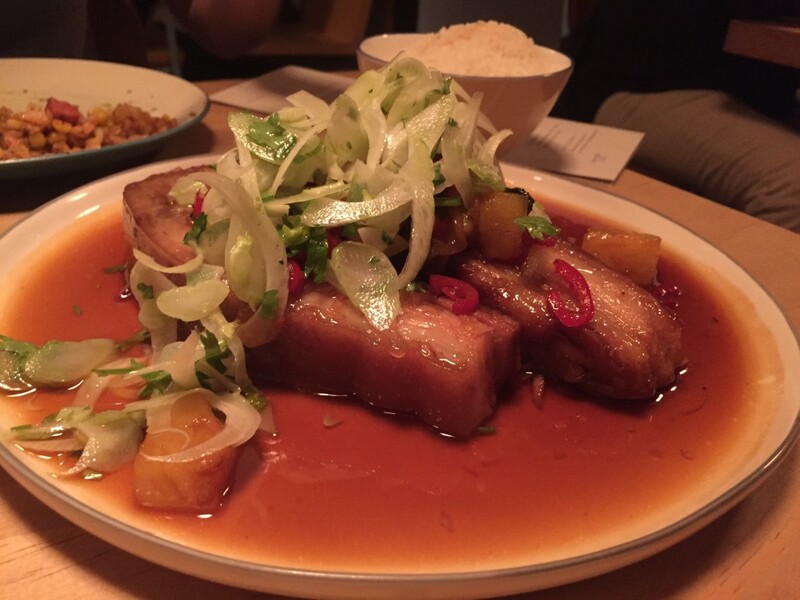 The twice cooked pork belly is served in a sweet pineapple sauce with Thai basil and fennel. This has to have been the largest portion of pork belly I have ever seen, and the majority of it came home with us for leftovers. Each bite was beyond decadent, and had that melt in your mouth goodness. 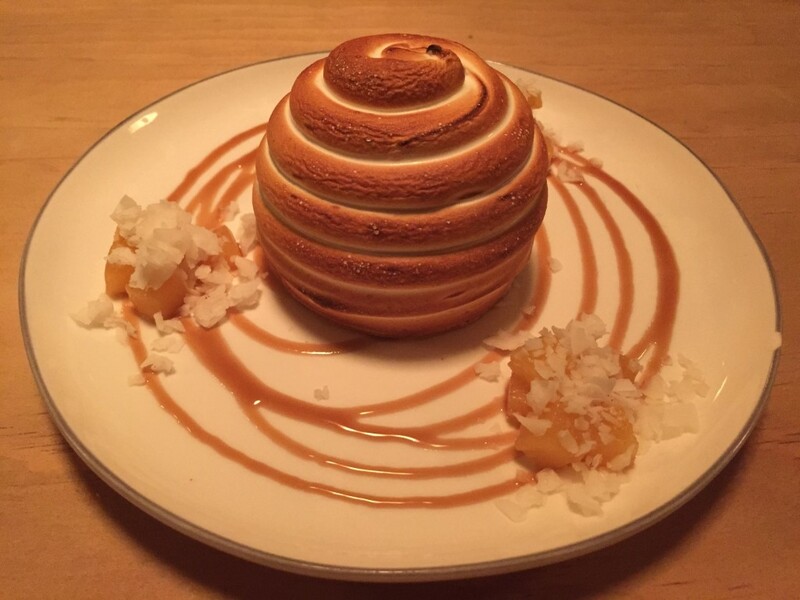 We capped off the night with the signature Baked Hawaii, a creative take on your traditional Baked Alaska. The base of the dessert is a cookie-like sunflower tart dough then topped with vanilla chiffon, a scoop of pineapple ice cream, and coated with swiss meringue. The plate is decorated with coconut caramel, pan roasted pineapple, and coconut clusters. The Baked Hawaii is a work of art, if it weren’t so tasty it would be too pretty to eat!